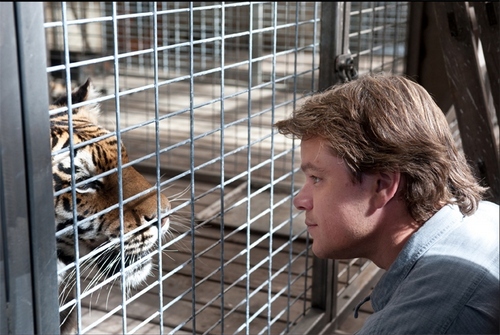 Momtastic was lucky enough to get a sneak peek at Matt Damon’s latest project ‘We Bought a Zoo’. 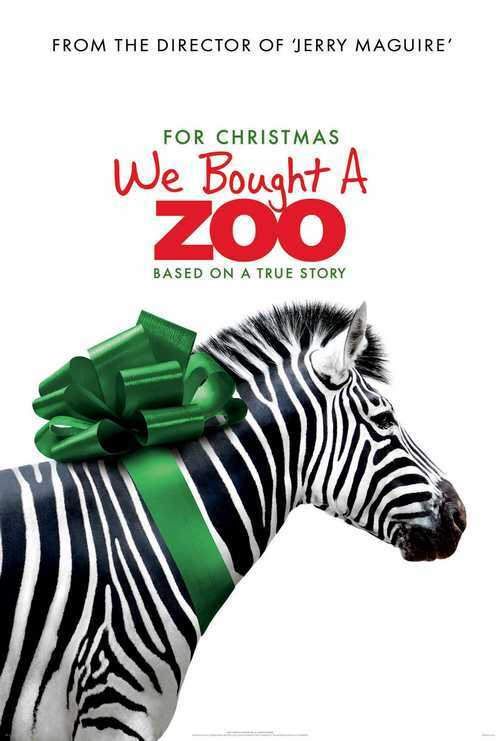 Matt stars in this adaptation of Benjamin Mee’s best-selling memoir “We Bought a Zoo: The Amazing True Story of a Young Family, a Broken Down Zoo, and the 200 Wild Animals that Changed Their Lives Forever”. The film centers on a young father (Damon) of two (played by Maggie Elizabeth Jones and Colin Ford) who is trying to cope with the loss of his beloved wife Katherine and learning to parent without her. In an attempt to make a big change in their lives, the Mee family winds up buying not only a new home, but a broken-down zoo, too. Along with the group of animals, they ‘inherit’ the small, overworked, and underpaid staff (Scarlett Johansson, Patrick Fugit, Elle Fanning, and more) who have been taking care of the animals around the clock since the park closed down the first time. The thing I love most about this movie is the brilliant way it meshes together a story of love, life, and loss with humor, courage, and a sense of hope. You never pity the Mee family and the story isn’t fake-y sunshine, rainbows and feel-good fluff, either. There are elements in this story that will connect with audiences of all ages. ‘We Bought a Zoo’ is a MUST SEE! I think this is one of Matt Damon’s BEST performances and Thomas Hayden Church brings the laughs, as always. And newcomer Maggie Elizabeth Jones will MELT YOUR HEART. The entire cast is perfection. If you’ve read the book, you should know that a few tweaks and changes were necessary to bring the book to the big screen, but I can guarantee you that it is done SO well, you won’t be let down by the changes! Check out the trailer here! You can also follow the film on Twitter and Facebook (where you can also enter for the chance to win a Zoo Family Vacation)! The movie hits theaters on December 23rd! Stay tuned later this week, as I’ll be sharing our interview with the film’s screenwriter Aline Brosh McKenna.